We visited “Sakaezuzushi” after “Uchida”, the most popular Motsuyaki restaurant around Keisei Tateishi station. 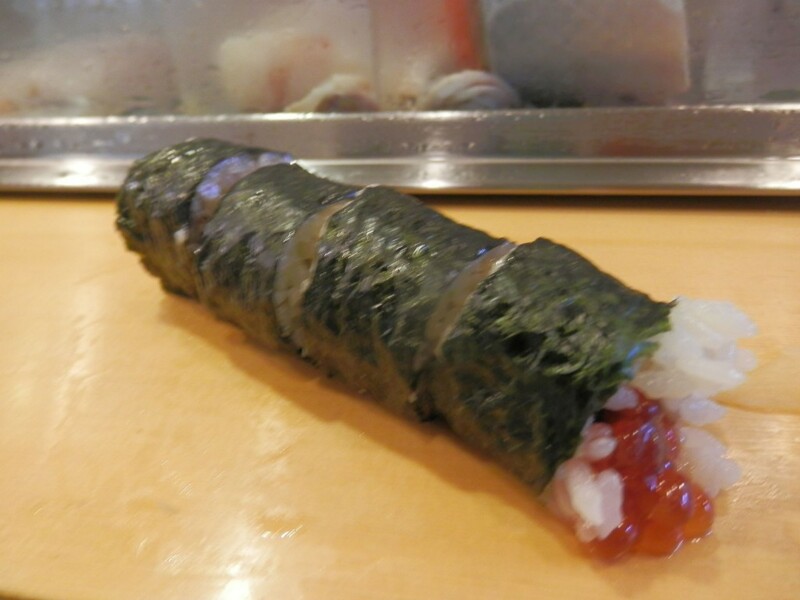 This sushi shop is also a very popular one. We waited around 20 minutes before entering the shop. 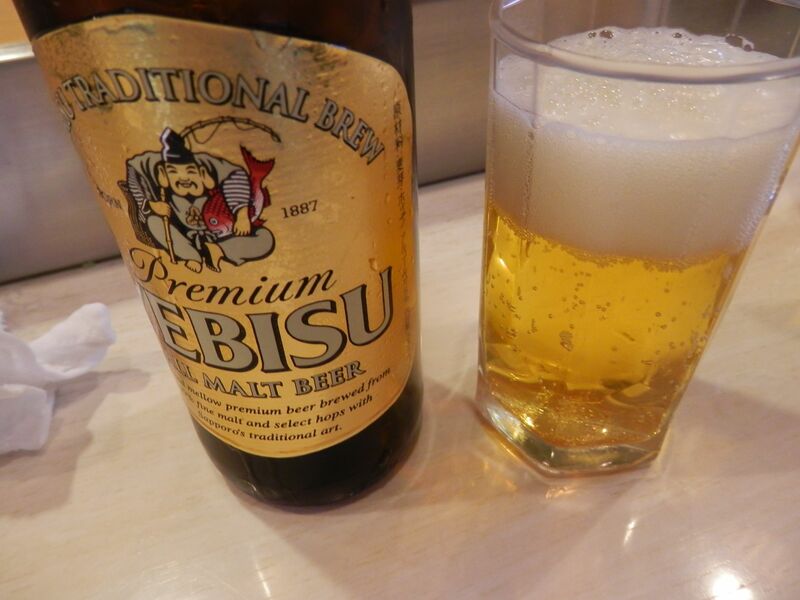 First, cheers with beer!! 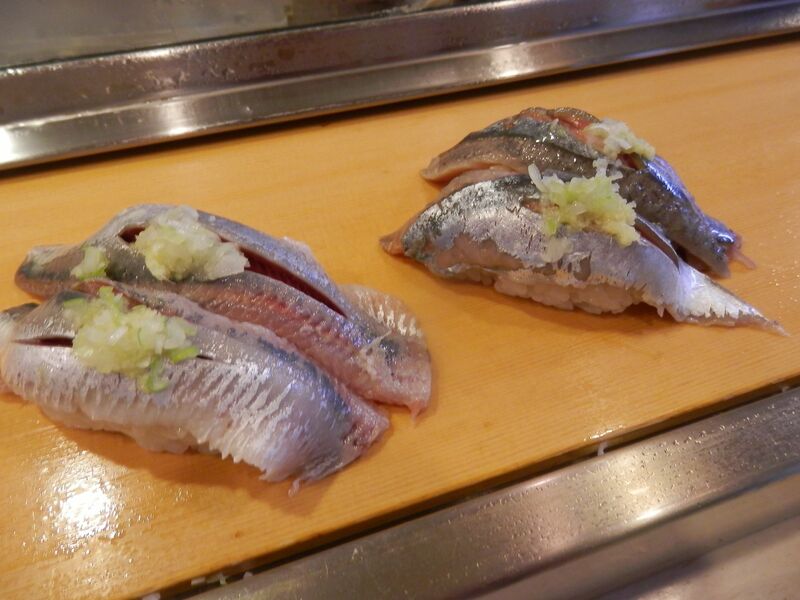 From the left, sardines and pacific sauries. They were very fatty and melting on my tongue. Bonito. They were sticky and delicious. Fish in season were tasty! 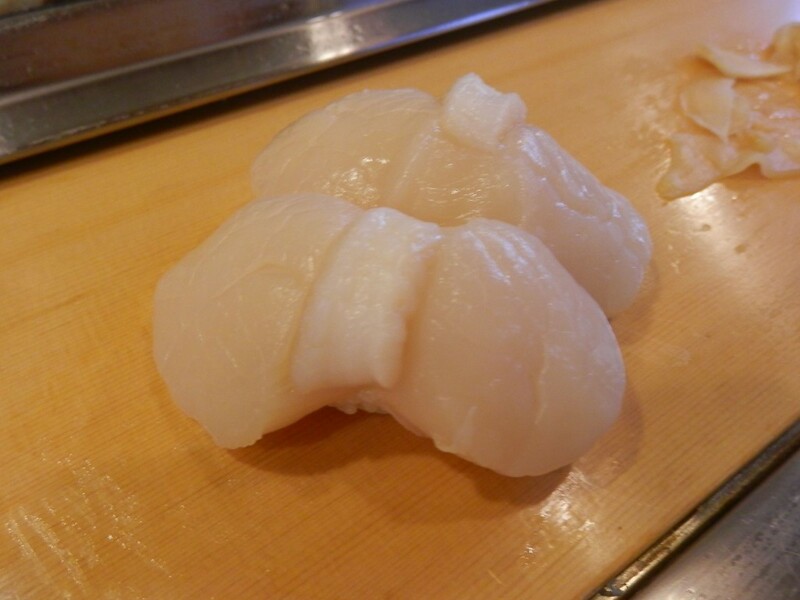 Japanese scallop. They were firm, sweet and also very delicious. 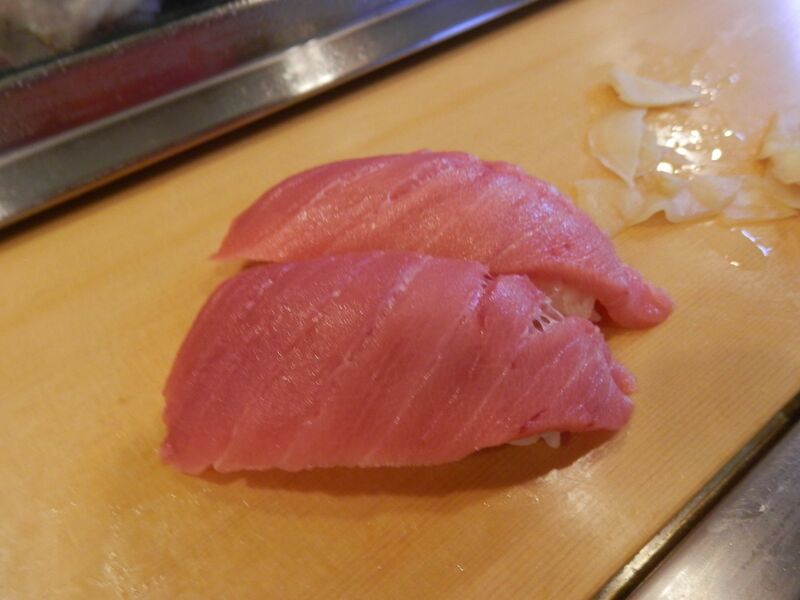 Medium fatty tuna. They were not that heavy and smoothly melting on my tongue. I was really happy. Finally, salmon roe rolls. They were not that salty and rich taste was flowing out of them. Two of us had 2 small bottles of beer, 10 pieces of Nigiri and a roll. Total amount we paid was just ￥2,960. Only ￥1,480 per person. 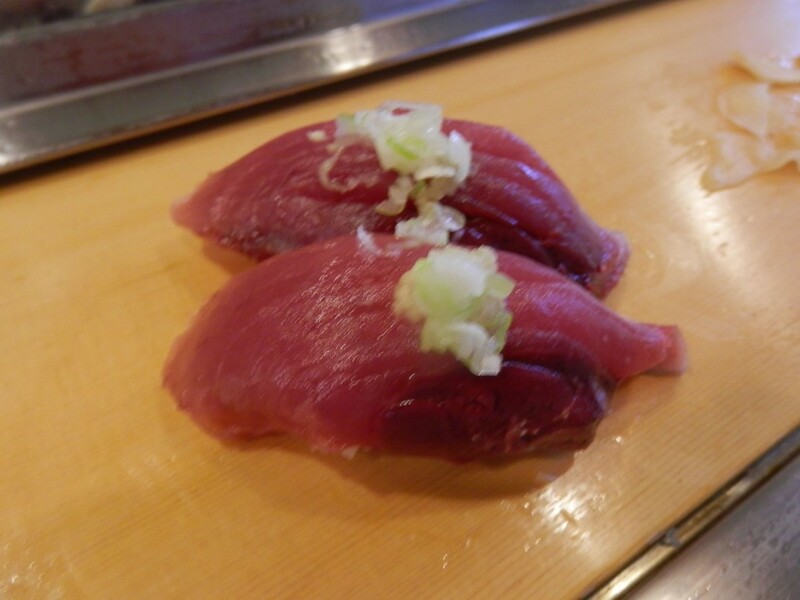 Incredible price for fresh and delicious sushi!! Again, we felt great cost performance in Tateishi. I would like to visit again soon.